Thomas Cook (Mtius) is amongst the best Destination Management Companies (DMC) in Mauritius, with primary strength in providing extensive travel and holiday related services under one roof. TCI (Mtius), a fully owned subsidiary of Thomas Cook India, has for over 50 years perfected the art of making the entire travel experience memorable. 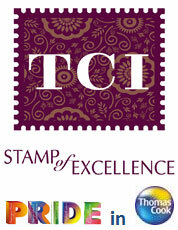 With its 7 marketing offices overseas, TCI matches the finest in the world. Our team of professionals offers expert guidance and takes care of your every requirement, giving you optimum value for money. We strive not only to meet your expectations, but also to exceed them by providing a whole range of custom made itineraries, to cater to the elite as well as the budget conscious. Thomas Cook and TCI (Mtius) are committed to offer an array of products and services, customized for every interest.